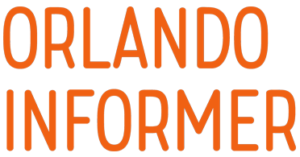 Today, Universal announced the unthinkable: Bill & Ted’s Excellent Halloween Adventure, what has been called the cornerstone of Halloween Horror Nights over the course of its 26-year run, will be canceled following the 2017 season. The magnitude of this development cannot be overstated. 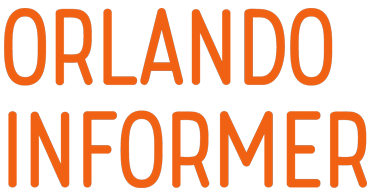 Bill and Ted are the only characters to return year after year, decade after decade in an event that is identified by its ever-changing roster; removing the show from Horror Nights would be like removing the Universal globe from Universal Studios Florida. And compounding the blow is the uncertainty of what – if anything – will replace it, and how this new direction may change the annual festivities over the course of the next quarter-century. 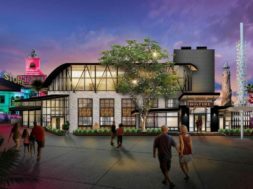 To commemorate this ending of an era, we wanted to take a look back at how the Wyld Stallyns got their start at HHN on both coasts and to speculate a bit as to the nature of their closing. Along the way, we’ve stuffed our tribute with tons of vintage photos and videos (which may contain some not-safe-for-work language, in typical Excellent Halloween Adventure style), along with enough historical factoids to pass any senior-year oral history report. Jay Stein, who was the chairman and CEO of MCA Recreation Services Group (MCA was then the parent company of Universal), had a passion project shortly after Universal Studios Florida’s 1990 grand opening: a dedicated Halloween event, something which the companies had tried at Universal Studios Hollywood in 1986 but which was marred by the accidental death of an employee, scaring them off from the idea thereafter. 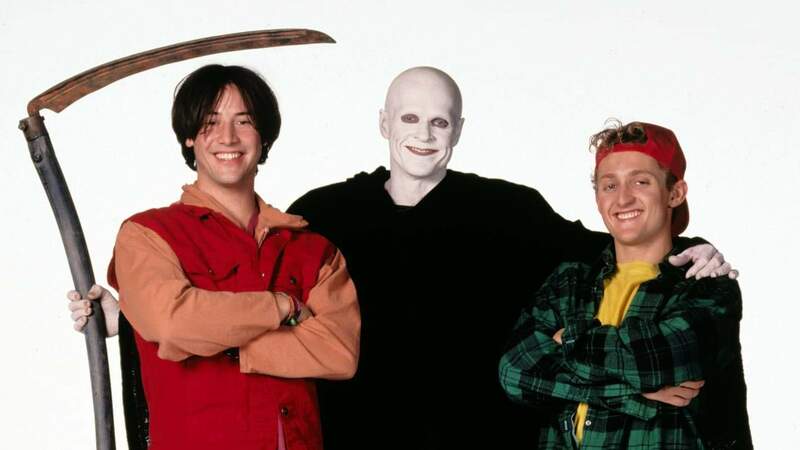 Bill & Ted’s Excellent Halloween Adventure may have been an attempt to bring a bit of levity to proceedings that were, at the time, primarily reliant on gross-out gore, but it also was meant to leverage some of the red-hot heat that the Bill & Ted franchise was then generating – the follow-up film, Bill & Ted’s Bogus Journey, had just come out the year before, and a television series, Bill & Ted’s Excellent Adventures, was on the air that summer (which isn’t to mention the animated show of the same name from 1990, plus all the comic book, videogame, and, even, cereal tie-ins). Once Bill & Ted was chosen as the subject of the new show, its actual contents had to be fashioned – a process which got inspiration from without and direction from within. First, the outside influence. 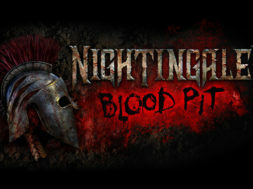 The only other park to engage in the same type of PG-13-rated Halloween content was Knott’s Berry Farm, which had been transforming itself into Knott’s Scary Farm since the distant year of 1973 and which had an extremely long-running – not to mention extremely popular – nightly show called Hanging. The premise here was to infuse a series of hangings with pop-culture lampoons (including appearances by some figures that would be immediately recognizable to Universal fans), musical numbers, stunts, and the occasional pyrotechnic display – a concept that Julie Zimmerman wanted to make her own. After repeating the same production for 1993, the HHN head honcho brought on a new writer, Jason Surrell (whose major credits since include working with George Lucas to develop Star Tours: The Adventures Continue at Disney’s Hollywood Studios and serving as the creative lead on Race through New York Starring Jimmy Fallon) to spruce up the ’94 show. He came loaded to bear: while still retaining the original iteration’s pyrotechnics and musical finale, Surrell decided to greatly expand on the cultural-parody element, with an emphasis on timeliness that would make Bill & Ted something of a celebration of that year’s best pop culture. 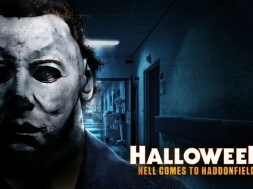 Under his tenure as writer and then, subsequently, director, the show also kept pushing the theme-park envelope, becoming more risqué with its usage of language and scantily-clad dancers – and thereby cementing its status as the cornerstone of Horror Nights for many a die-hard fan. Of course, it is precisely this controversial material that would ultimately land the production in hot water – though not necessarily in its native environment. 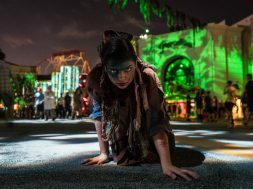 With the immediate success of Halloween Horror Nights over on the East Coast, it didn’t take very long for Universal Studios Hollywood’s management to import it back to the originating West Coast – though it would take several attempts for the event to cement itself as a reliable annual celebration that would return year after year. 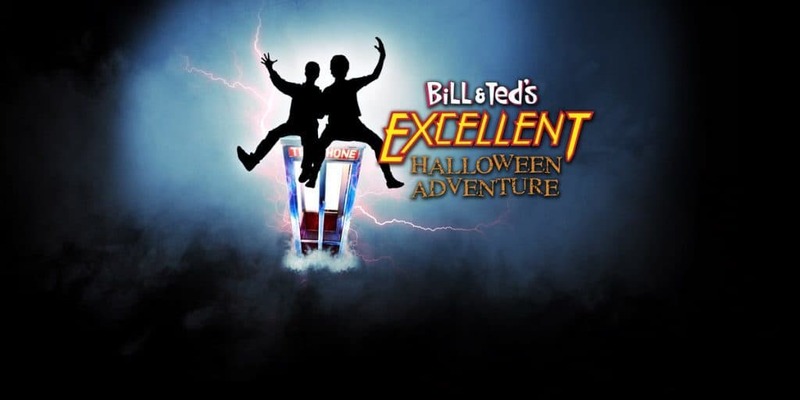 The second of these short-lived runs, starting in 1997, featured a cloned version of Bill & Ted’s Halloween Adventure (notice the change in title), which would prove to be the template for the sister production’s entire run: the same tone and overall approach, though realized through an original script that may have general similarities with Orlando but was specific to Hollywood. Another key difference for this parallel Bill & Ted was, of course, its surrounding region, which features a different-enough socio-political landscape to make the risqué material land – and reverberate – differently. In 2013, after a journalist furnished pointed criticism of how Bill & Ted treated several minority groups (most especially homosexuals), Universal Hollywood opted to pull the plug on the show a week before Halloween. At the time, the company stated that it was only a temporary move, but the production never ended up returning. 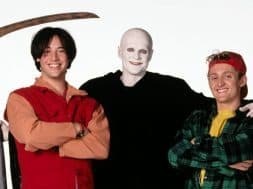 Bill & Ted’s Excellent Halloween Adventure (the name was changed to match Orlando’s starting in 2007) was cancelled for the first time – but not, of course, for the last. Why cancel it at Orlando? That, however, doesn’t stop us from doing some light theorizing on our own. 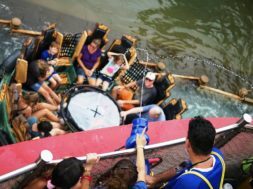 It could simply be a matter of logistics; maybe Fear Factor Live is finally going to be torn down (and replaced by the long-rumored Ministry of Magic? ), and the company couldn’t find a suitable replacement venue. 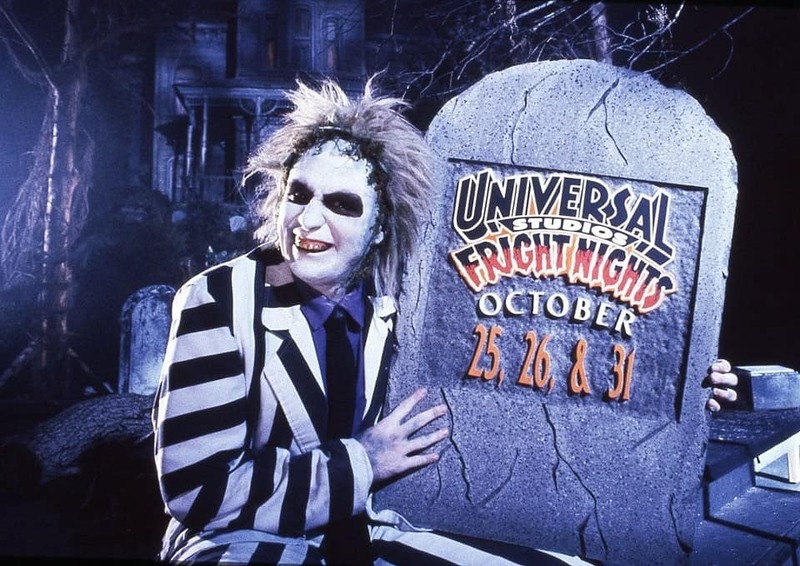 Or perhaps Universal has a new stage show in the works for 2018 and beyond, one that is deemed to be fresher and, possibly, more pop-culturally relevant for Halloween Horror Nights’s current, bigger-than-ever crowds. There’s another possibility, though, one that may have its roots in a development that affected Bill & Ted some time ago – and one that we think is far closer to the mark. 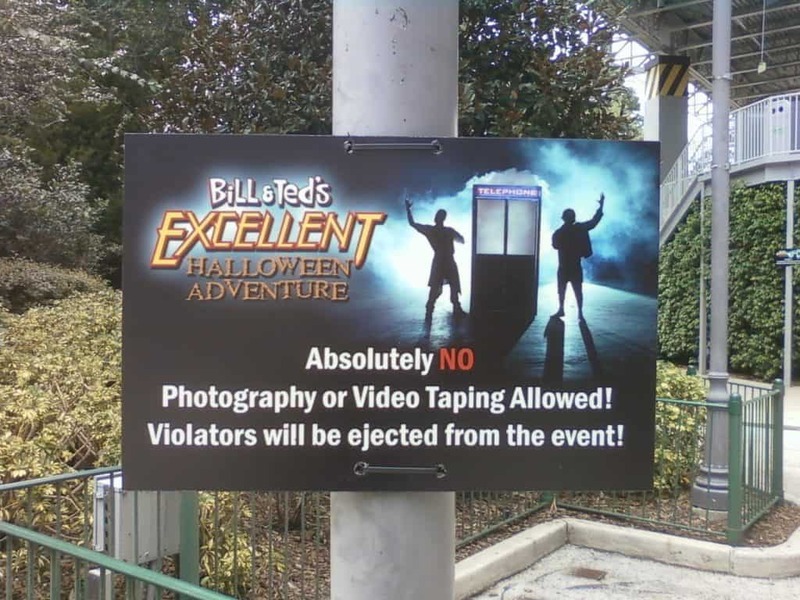 In 2007, HHN attendees were surprised to learn that taking photographs or videos of the show was suddenly – and quite severely – prohibited, with violators even being ejected from the park and, in some instances, being banned from Universal Orlando entirely for a period of time. Although an official reason for the change in policy was never issued, it’s been largely believed to have revolved around the thorny subject of copyright infringement; when Excellent Halloween Adventure first started up in the early ‘90s, the creators were able to get away with quite a lot, but once both its and Horror Nights’s audience started to get bigger, and as videos of the performances started to become more prevalent, rights holders were suddenly noticing the usage of their characters, and they were – at least, according to the rumor mill – none too pleased. Supposedly, at the end of the 2006 season, both Disney (for Pirates of the Caribbean) and Warner Bros. (for Superman) were contemplating taking legal action against Universal, with the result being that the character of Lex Luthor was replaced with Austin Powers’s Dr. Evil for the final few performances of that year. Cutting off the flow of evidence (especially right at the start of the Age of YouTube) would be a good way to keep the show running while also mitigating against the risk of lawsuits; another is including such jokes as “Have you seen my laser sword? Legally, we’re required to say ‘laser sword,’” as occurred in last year’s Bill & Ted. However, it may very well be that the utility of such an approach is finally nearing its end, and the risks have started to outweigh the benefits. Whatever the real reason, we applaud the countless hundreds of writers, directors, actors, and technicians who have brought the Wyld Stallyns faithfully to life for over a quarter of a century, and we look forward to partying on with Bill, Ted, and the rest of their cast of popular-culture lampoons one final time. Two heads will always be better than one. Bill & Ted’s Excellent Halloween Adventure: The Farewell Tour will join Saw: The Games of Jigsaw, Ash vs Evil Dead, The Shining, and American Horror Story at Universal Orlando Resort’s Halloween Horror Nights, which runs for a record-breaking 34 select nights, from Friday, September 15 to Saturday, November 4.
previous Is Indiana Jones Land coming to Animal Kingdom?